2:57 PMNow that we know the top rankings for each position, we can now turn our excitement and curiosity toward the 2018-19 rookie class. No need to beat around the bush, let’s break down the top rookie ratings. 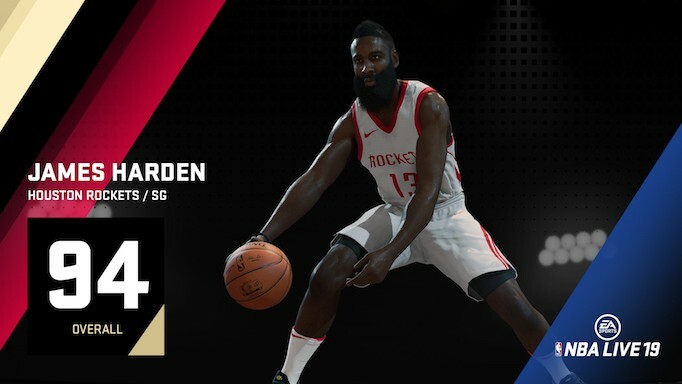 Young might not have been happy about his NBA 2K19 rating but I’m sure this one might make him feel a little better. My whole life I’ve been underrated…. 3:31 PMFor all the jokes that are made about the interesting things that take place in Florida, at the 101st American Tennis Association National Championships, Floridians absolutely dominated by winning both the men’s and women’s open finals. Thousands turned out for the weeklong tournament hosted by the United States Tennis Association National Campus and witnessed Rodney Carey (Lake Park, Florida) and Isabelle Porter (Jupiter, Florida) raising the champion’s trophies after their respective victories. The ATA is the oldest and longest-running African-American sports organization in the country. After being banned from participation in the United States Lawn Tennis Association, the organization was founded in Washington, D.C., in 1916, with its mission being to elevate black tennis. A year later, in Baltimore, the inaugural ATA National Championships were held. A tournament that started out with only three events – men’s and women’s singles and men’s doubles – and was excluded from the governing body of tennis, now has 50 competitive events and has struck a long-term deal with the USTA. Porter won a straight sets match (6-2, 6-2) against Californian Aysha Hayes (Pinole) thanks to her punishing serve and big ground strokes in her return game. The men’s open final was much more competitive as No. 2 Carey knocked off top-seeded Jordan Harrell (Lithonia, Georgia) in a two-set match that was decided by a match tiebreak in lieu of a traditional third set (2-6, 6-3, 10-5). Harrell wouldn’t take the loss too hard as he paired with James Jackson (Clarksdale, Mississippi) to beat Puerto Rico’s Carlos Baez (Manati) and Fidel Serrano (Dorado) in the men’s open doubles final. Rishona Lewis and Chacadyah Lewis, both of Lake Worth, Florida, defeated Aysha and Azaria Hayes, 6-0, 6-3, to take home the women’s open doubles championship.